At the last count, 149, 669 Nigerian graduates of the 200,000 engaged by the Federal Government under the N-Power Volunteer Corps are now collecting their monthly stipends of N30,000 monthly having been physically verified and deployed across the 36 states and FCT. The Federal Government has also approved an additional N4500/month to all the 200,000 N-Power beneficiaries to purchase an electronic device which would be loaded with different applications that would further enhance the skills of the beneficiaries and afford them additional training opportunities during the two-year duration of the job program. This device grant is in conjunction with the Bank of Industry (BoI) who has extended an asset finance of 20 months to each of the 200,000 N-Power beneficiaries. While each of the beneficiaries after being verified would select their choice of device amongst nine different BOI pre-approved vendors, the price ranges from N3,000 to N6,7000 monthly deductions for the next 20months. 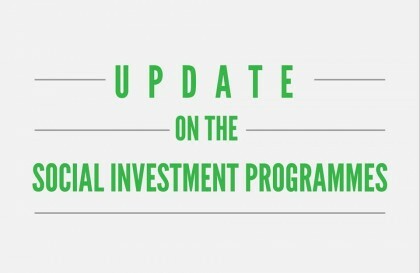 Therefore in some cases the N4500 device grant would cover the full monthly deduction cost while in other cases the graduate authorizes BOI to deduct the additional differential cost from their monthly stipends depending on the device chosen. Six of the Nine BOI pre-approved vendors are indigenous local brands. About 100,000 graduate N-Power beneficiaries have completed their orders for the devices and the Bank of Industry is in charge of effecting the orders made. The plan is to conduct the order of the devices in two batches of 100,000 each, one after the other. It was further disclosed that all the 149, 669 N-Power beneficiaries now collecting their stipends have been physically verified and deployed, while their given bank account information have also been matched with the Bank Verification Number. 50,000 of the 200,000 beneficiaries engaged by the FG are some of those who could not be paid for various reasons. They include those who were disqualified during verification on the basis of age-over 35, and inadequate academic qualification. The N-Power is for university, polytechnics and College of Education graduates only. There were also some of the selected 200,000 who were ‘no shows’ meaning they simply did not report for verification at all. Others who could not be paid were those whose personal information details were faulty, including those whose marital status have changed. There are also those who used different names and differing personal information. And lastly, there are also those whose banking information simply do not match with their BVN banking records. In the case of those whose marital status have changed, their information is now being updated through the various States and FCT Focal Persons and then they would be represented for payment. The process for the replacement of those who did not show up and those disqualified would also resume shortly to bring the number back to 200,000 for the first batch of the 500,000 promised by the President Buhari’s administration. Older PostMONEY: EFCC Intercepts N49m at Kaduna Airport.